The "yuppie flu," also referred to as chronic fatigue syndrome, may indicate an underlying physical ailment. Individuals with the "yuppie flu" often exhibit fever and swollen lymph nodes. "Yuppie flu" is a name for chronic fatigue syndrome, marked by muscle aches and extreme fatigue. Sore throats are common in people with the "yuppie flu." Sore throats are frequently reported with chronic fatigue syndrome. "Yuppie flu" is a 1980s name for chronic fatigue syndrome (CFS), reflecting the skeptical way the disease was first viewed. Medical experts now know that yuppie flu is a real condition that can seriously affect quality of life and health for half a year or longer. It tends to cause fevers, aches and pains, and extreme fatigue that can go on for months or even years. The exact cause of the condition isn't yet known, but there is a general protocol for diagnosing it, and there are standard and investigatory treatments which may prove helpful in recovery. People with yuppie flu generally complain of fatigue that doesn't improve with rest and means they must reduce their activity level by less than half or more of what they would normally do. Patients with this condition have fevers that may come and go, muscle and joint aches, or feelings of weakness in the muscles. Sore throats are frequently reported, headaches may occur, and the lymph nodes can be sore and tender. Depression or anxiety can develop with these symptoms. One of the troubles with establishing credibility of the yuppie flu is that it can sound like many other illnesses. Doctors need to rule out low thyroid levels and cancers that affect the lymph nodes. Many autoimmune disorders may cause similar symptoms. Lyme disease or other bacterial and fungal infections might be suspected, too. A diagnosis of depressive or dysthymic disorder doesn't rule out CFS, but it should be considered as having the potential to cause many of the same symptoms. Generally doctors look for a preponderance of symptoms, especially fever, lymph node tenderness, and sore throat, plus reports of ongoing fatigue. They may diagnose chronic fatigue syndrome by ruling out other illnesses that seem likely, which could be achieved through physical examination, blood tests, and possibly x-rays or computerized tomography (CT) scans. Doctors will usually diagnose the condition when they are certain symptoms aren't another illness, and when there are at least four major CFS symptoms present. There is no quick cure for the yuppie flu, but there are interventions that may help. 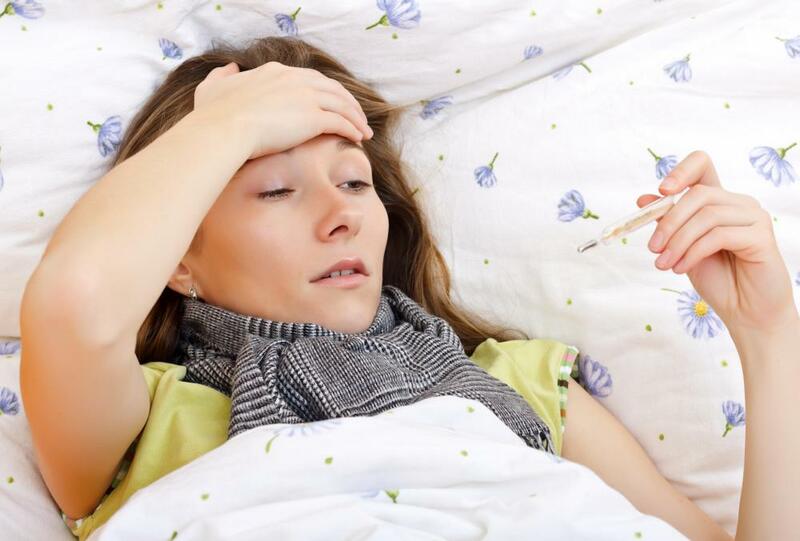 Doctors address physical discomfort and fever by recommending over-the-counter pain relievers and fever reducers. Depression or anxiety, which are both common, might prompt prescription of antidepressants or anxiolytics. Whether or not patients take psychopharmacological drugs, they are usually advised to get therapy, such as cognitive behavioral therapy (CBT). This may help patients cope with the condition on a daily basis and learn how to limit self-destructive thinking that obstructs recovery. The yuppie flu also lends itself to many nontraditional treatments. These include yoga, biofeedback, massage, and acupuncture. Small amounts of exercise that don't exceed the patient's strength or energy levels are encouraged, too. Many patients may benefit from participating in peer or professionally led support groups; talking with others affected by CFS is often cathartic. How do I Choose the Best Chronic Fatigue Syndrome Treatment? What is the Connection Between Chronic Fatigue Syndrome and Fibromyalgia?